People will tell you that once kids come into the picture, having traditional date nights will be hard, and they’re right. For a multitude of reasons it becomes difficult to get away sans kids. We’re bad for not making it a priority. Part of the reason for us is that quite honestly we enjoy having our daughter around. It’s not too often that we’re eager to get away from the responsibilities of parenting and be alone but we know it’s essential to our marriage. You don’t realize how little engagement you and your spouse have until you’re in a situation where it can happen. Though we get away or go out, we usually have our daughter with us and no fault of hers, she consumes almost all of our attention and conversation. She’s at an age now where if we tell her we need a few minutes to talk or whatever she gets slightly offended so it’s more appropriate to just plan an evening or day where she can have fun doing kid stuff (with a sitter) and we can have uninterrupted time alone. 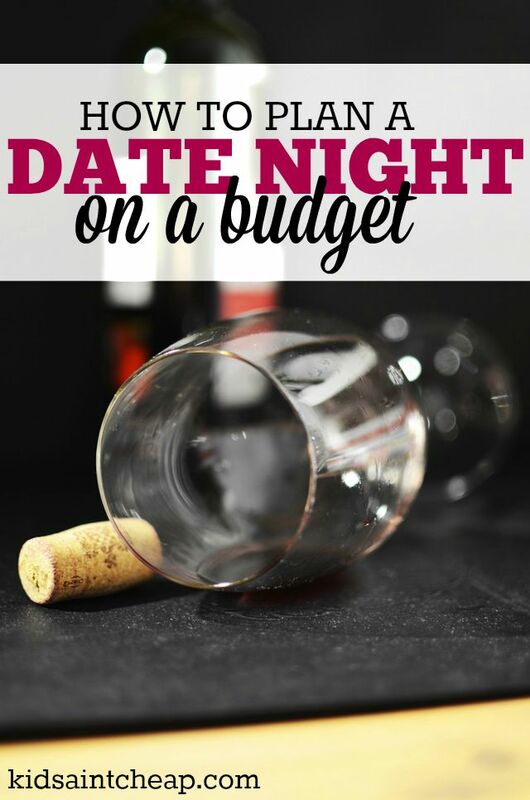 Dates don’t have to be expensive. When we were planning our anniversary last month we decided to take a little afternoon road trip instead of spending a bunch of money on each other and something like a fancy dinner out. We were home by supper time but it was so nice to sit in the car together for a few hours and just chat. We stopped for lunch and went for a little walk around a few local stores. Including lunch and gas the whole day probably cost us $100 this is, without a doubt the most we’ve spent on ‘’each other’’ in a long time. When you’re on a budget you really feel the pressure when it comes to dating your spouse. Start with easy areas to save, we started with nixing unnecessary gifts. It really is the thought that counts and saving your money to reach your financial goals will keep you much happier than a materialistic item. Discuss this if you decide to do it though so feelings don’t get hurt. Budget or not I’ve never been on who wants gifts. I just don’t really like ‘’stuff’’ and if we’re going to spend money I’d rather save it for an experience together rather than something like a fancy watch. Having a date with your spouse is about the time together not money spent. It be hard to get past the traditional ‘show up with flowers and wine and dine’ your spouse but especially after becoming parents you’ll quickly realize it’s about making the time for other person, regardless of what the event actually is. 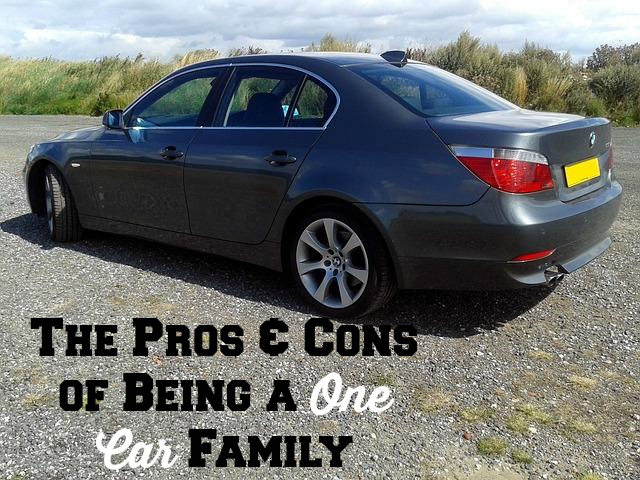 How Long Can We Maintain Being a One Car Family? When my husband and I moved into our first place, a nice one bedroom apartment, our lease stipulated one vehicle included, anymore and we would have to pay extra for an additional parking spot. Given that we were looking to save as much money as possible for our upcoming wedding, we decided to sell my little old car. My husband had the more reliable vehicle and I opted to use public transportation instead of paying extra just to park my car. I work in a downtown core where parking is incredibly expensive as well so driving to work is quite the added expense, selling our second vehicle made sense for so many reasons. Fast forward six years and we’ve been married, moved into a suburban home and had a baby. My job is the same, my husbands has changed slightly requiring more frequent out-of-town day trips. I’m still taking public transit which, to give our city some credit, has improved in the last six years. Though I thought it would be a temporary thing, six years later we’re still a one car family. The only way this is possible is me either taking public transit or carpooling on some days. Though I could drive to work faster than me taking public transit I simply cannot justify this added cost right now. Monthly parking at my jobs location is $150 per month. If we bought a second car, not only would we have the upfront cost of the vehicle, we would need to pay for gas, maintenance and insurance. Even without paying for parking it would still cost us about $250 per month to own said car. With parking and bridge tolls, closer to $500. I currently pay about $60 per month for public transit, a significant savings from the $500 we could be paying! 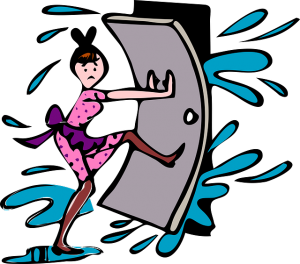 The inconveniences of being a one car family…. The biggest inconvenience we’ve encountered with being a one car family happened two years ago when our public transit went on strike. We ended up spending more than double our gas (almost $400 per month in gas) with my husband driving me to work everyday or us giving gas money to other people for me to carpool with. The strike lasted months and was a huge headache to deal with. My normal 30 minute driving commute was upwards of two hours some days with the sharp increase in vehicles on the road. As our daughter gets older we’re expecting a few more inconveniences as she gets involved in activities and needs to be at places. Given that I now rely on my husband to pick me up from a major transit depot close to our house, if he needs to have our daughter (dance or soccer) at the same time we’ll be in a tough spot with me trying to get home. My work schedule is very rigid and can’t easily be changed so I foresee this being a challenge. We’re lucky that we currently live in an area with public transit, I suspect our next home will be out of the city and away from major transit lines where owning two vehicles will be a necessity given our work schedules. At this point in our lives, being a one car family works. We’re ”saving” almost $450 per month. Money we just can’t justify when we’re working to pay our debt off. Once our debt is paid off we will likely get to the point where having a cheap second car will be a necessity either because of where we live or the direction our lives takes us. Are you a one car family? How is it working out? This is loads of fun for kids of all ages. Have your child invite their friends over, either with a gingerbread house kit in hand, or you can provide the house for them (using an easy recipe and template). Have candy provided in dishes (on your well wrapped table, it will be messy!) and let them have fun creating. Don’t want to do a whole house? Try decorating gingerbread or sugar cookies instead. While volunteering with your children year round is encouraged, Christmas is usually a time when extra help is needed. Soup kitchens and food banks in particular are often looking for extra help during the season. 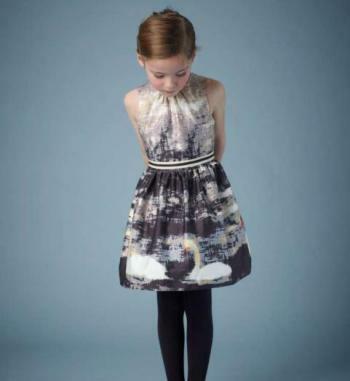 If your child is under the age of 16, you may either need to grant permission or be present. Check to see if your local mall needs gift wrappers. Many malls offer gift wrapping services, often provided by volunteers, with funds raised going to local charities. Although this should never be the only reason why one does it, volunteer work looks great on university and college applications too. Have a few of your kids friends over for a fun night of watching Christmas movies in their PJ’s (sleepover or not, you have to be comfy!). Provide a few snacks or have them help you make a homemade pizza and you’ve got yourself a budget-friendly party. Especially in today’s technology driven world, we forget about the simplicity of encouraging outdoor play without an abundance of toys. Encourage them to explore; pick up a stick and use their imagination! Make sure they’re well bundled if you’re fortunate enough to live in a cold winter environment and let them enjoy the fresh air. Have them Help You Prep Meals for the Holidays. Most kids like to explore in the kitchen. It’s a great opportunity to have the learn some kitchen skills from you and your family.Yes, it will take longer than if you did it yourself and yes, your kitchen will likely be much messier but the skills that you’ll be able to teach are much more important than some spilled flour. Have your kids make everything from Christmas cards or gift tags to tree ornaments. The possibilities are endless and most require very few supplies. Who wouldn’t love a homemade card from your young one? If you have older kids, encourage them to use their time off to make some money during their break. Ideas include: shoveling driveways, offering to get groceries (or run errands) for people who need extra help, or dog walking for people who may be away or just too busy to do it themselves. Christmas can be stressful enough, you shouldn’t have to worry about what your kids are going to be doing while off from school. With a little creative planning, you can quickly fill their time without breaking the bank! 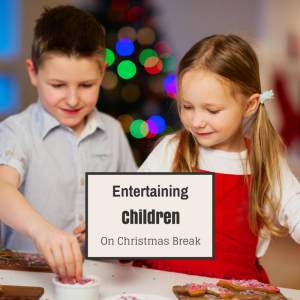 What holiday activities have you done with your kids? Greeting the New Year with…a PLAN! I don’t know about you but I always like to sit down and plan things as best I can and as early as I can. I find this is really important, especially as a single parent. Since I’ve started planning my year, I’ve been able to keep my budget and time in check . Here are some tips that you might find helpful. 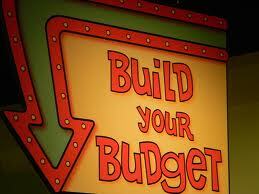 A good budget is a spending plan that includes everything you will spend money on and stays within your income. A wise budget includes everything you will spend money on, savings for a ‘rainy day’, savings for large purchases, giving, savings for kids, and investment for retirement and still stays within your income. I think it is important to do this activity at the start of the year as it sets your expectations and gives you an idea bout how to deal with the coming events over the year. Plus, just remember the 5 Reasons You Should Save Half Your Income! Get the whole picture. Start by collecting all checking account and credit card statements for the last year. Hopefully, you will have limited this or, as I have done, stuck to a strict cash or debit card only rule. Note any and all expenses you regularly make. If you keep receipts, this will help you a lot. If not, maybe you should start for recording purposes only. Record the whole picture. Use all the stuff you collected to record a ‘picture’ of what you spent last year. This might be depressing or not but this is important to give you a good basis of comparison for the next budget. Make sure you don’t double-list items. Check off the lines on your documents as you account for them in a budget item. this way, you also do not forget anything. Note your net monthly salary, combined with any extra work you might be doing as well. Create a monthly expenses worksheet. Create a worksheet for non-monthly expenses like Insurance. Include everything you regularly pay cash for in the Cash Budget-Monthly section. After you total everything, you may be surprised to discover your expenses are larger than your income. This happens to everyone so do not fret. If you have a larger income figure than your expenses however, place this amount in your savings. Review your budget worksheet. Check if you’ve listed expenses accurately then look to see if you are being too excessive with some items. Also check those items you anticipate will increase within the year and make your adjustments. Try your best to have an emergency fund that equals around 6 months of your net income. After you’ve saved this amount, you cans start investing anything over. After doing this you will find that you will be relieved to have a better picture of how your year will play out financially. While this is never a sure thing and while plans ALWAYS deviate in some way, you will probably stick to this basic picture for the next 12 months. You can also use this to plan anything extra you might want to do to earn more or to plan for points in the year when you know you will need to spend. 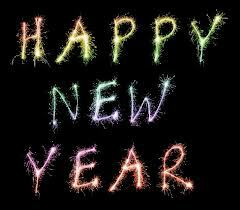 However you decide to go, let’s make 2011 a better year and the start of a better-budgeted decade. How are you preparing for the new year? Are you doing anything different financially?